Our thorough inspection of your home looks for signs of termites as well as fungus and dry rot. Gallant inspectors will offer recommendations which may include Fumigations, local treatments, pressure treatments, heat treatments and repairs. It doesn’t matter what your home is made of because termites don’t discriminate against brick, block, stucco or even homes built on concrete slabs.That’s because termites get in through tiny cracks and crevices in, under and around your home. 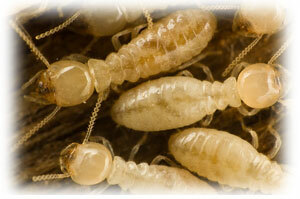 All termite treatments offer our 4 year guarantee.